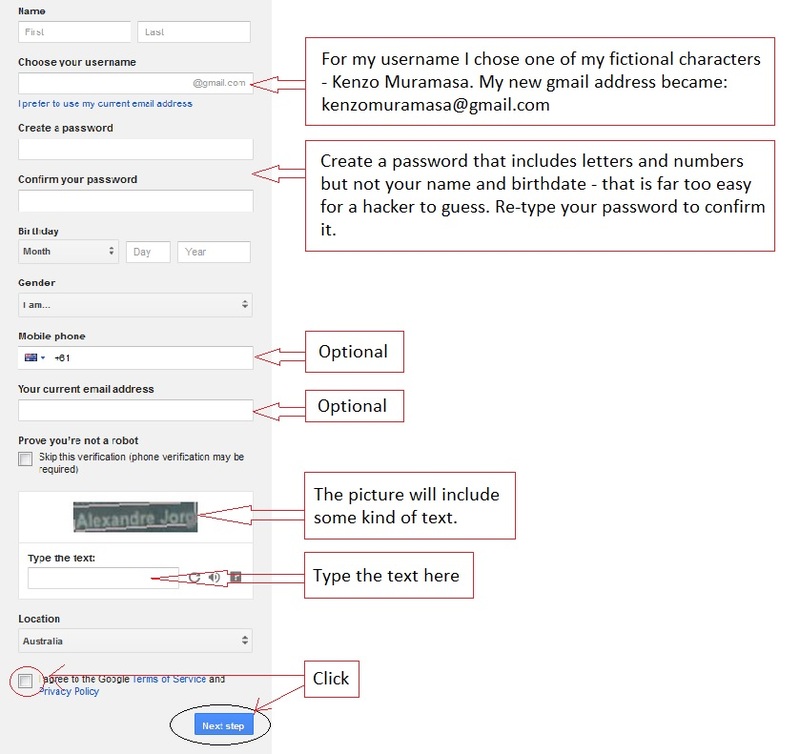 As the title suggests, this is the first in a series of step-by-step instructions on how to use the Gmail email application [on the pc]. The series is aimed at people who are very new to computers in general and email in particular. Before we begin, we need to spend a moment talking about the different types of email available, and why you would choose one over the other. Most people new to computers will have an email address given to them by their ISP [Internet Service Provider]. In Australia, the most well known ISPs are Telstra and Optus. If you are with Telstra, your email address will look something like – johncitizen@bigpond.com.au. If you are with Optus it might be – johncitizen@optusnet.com.au. These emails are usually included in a package of internet services that you have to pay for. If you find a cheaper package elsewhere and decide to change to that cheaper service provider, one thing you will lose is your original email address. Why? Because it belongs to the ISP, not you. Let me give you an example. Let’s say you start out with Telstra, but somewhere along the line you decide you will get a better deal from Optus. When you move away from Telstra, you will have to give up the johncitizen@bigpond.com.au email address you were using because Bigpond is only available to people who belong to Telstra. Of course, once you have moved to Optus you will be given a new, Optus email address, but it will be a bit like moving house, you will have to let everyone know that your email address has changed to johncitizen@optusnet.com.au, which is tiresome. And of course, if you change ISPs a third or fourth time, you will have to go through the whole process each time. To avoid the ISP merry-go-round, you can choose to ignore the email addresses they give you and opt instead for an email address that is not tied to a specific ISP or region or even country. One such global email is Gmail. 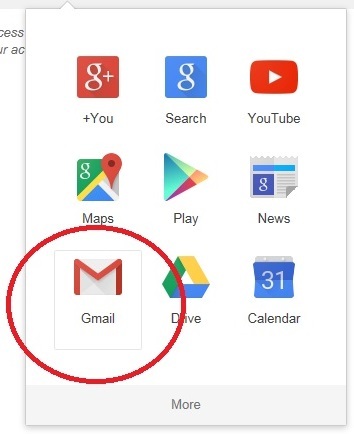 Gmail is part of a suite of applications provided for free in the Google account package. Other applications in the package include Youtube, Drive and Google+ to name just a few. Registering for the Google account package is free as well, so even if you find a different package that you like more, you can still continue to use your Gmail email. Is it hard to register for the Google account package? No, the process is quite simple. 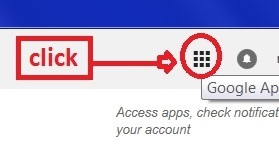 Clicking the icon will cause the Google apps window to be displayed. You can start all the apps available under the umbrella of the Google account from here. They include apps such as Youtube and Gmail. 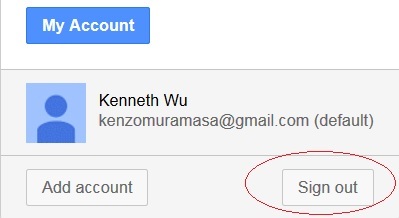 When you want to leave Gmail, you will need to sign out of the account, and this is where you do it. The Inbox is where all your new, incoming emails go, much like a letterbox for physical mail. The small number next to the Inbox tells you how many new, unread emails are waiting for you. The Compose button is what you click when you want to create a new email of your own. In order to make Gmail easier for new users, many useful functions and features have been hidden from view. Once you are ready to find and use these features, you will find them by clicking the Settings button. In Part 2 we will explore how to read and reply to emails from other people, as well as looking at how Gmail automatically organizes emails into categories and displays them in tabs. Apologies for being unusually quiet this last week. A certain family member [who shall remain nameless] used up our 60 GB monthly broadband allowance in three weeks, so we spent the last week being ‘shaped’. Okay, I may have exaggerated just a teensy weensy bit, but my internet speeds truly were unusable. In fact, at one point I became so desperate I forced myself to look up my own blog on my phone! * This allowed me to at least read the comments you guys had left. Tapping out replies to your comments, however, was beyond me; I don’t have very big fingers but the ‘keyboard’ seems to be made for Lilliputians! 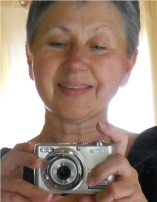 *I hate my smart phone, and still don’t know how to use it properly. I only learn something new when I’m desperate.